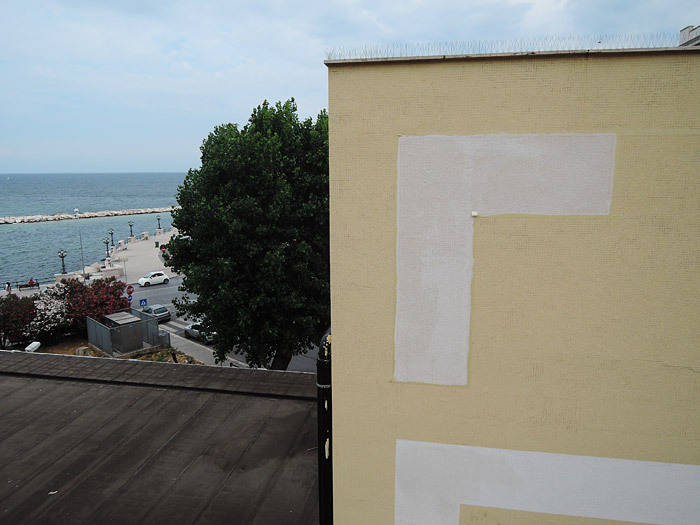 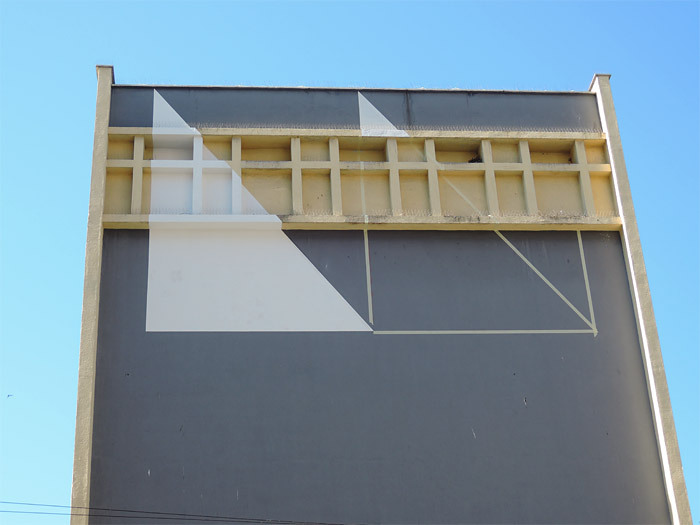 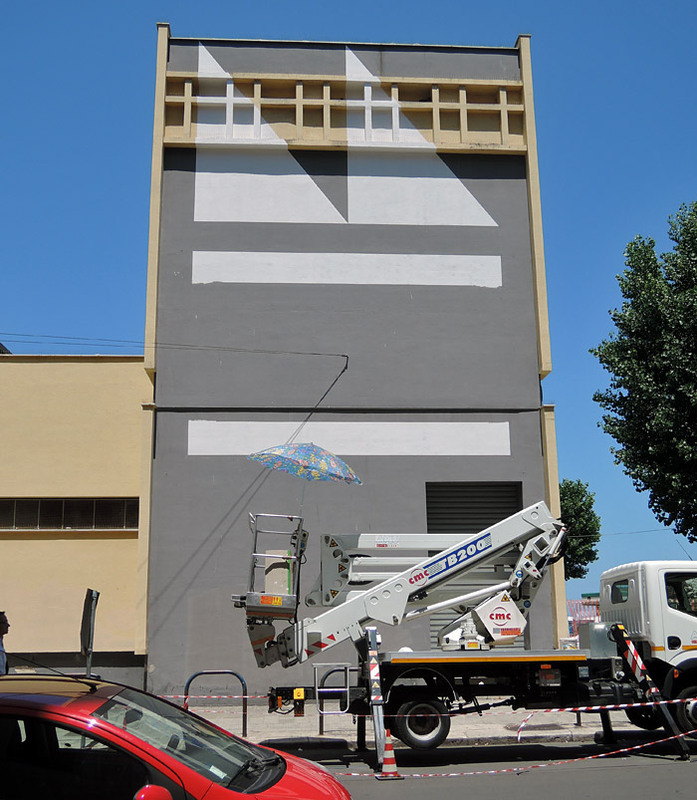 I presented three works for the Fresh Flâneurs exhibition in Bari: 8 Linee attraverso 4 Punti, a random painting experiment on a wall inside the gallery, Schegge, a new participative installation from the series Astillas and a mural painting on a public building in the city. 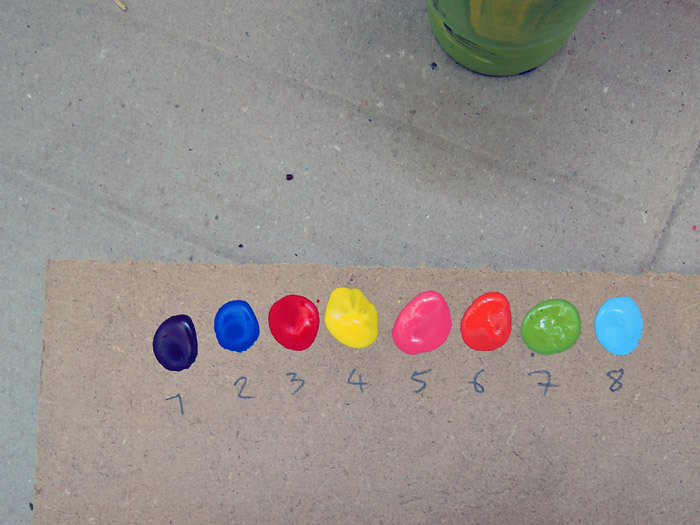 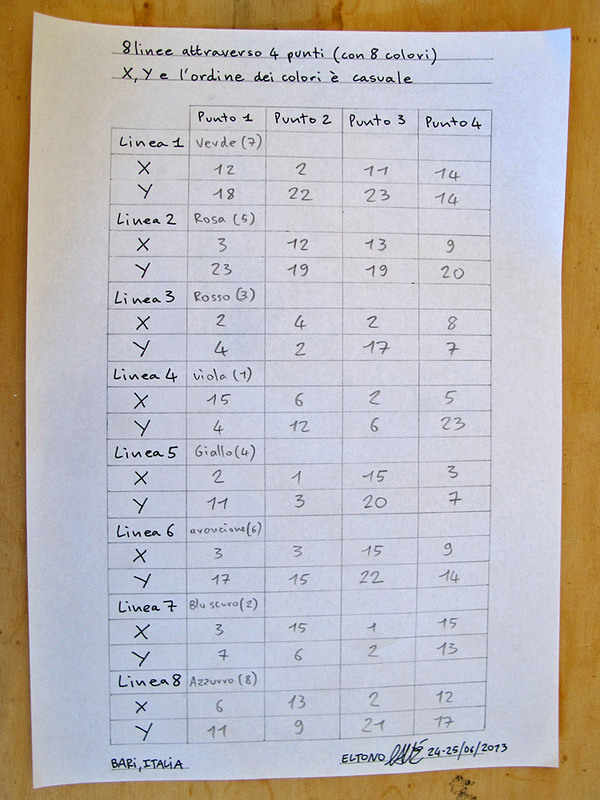 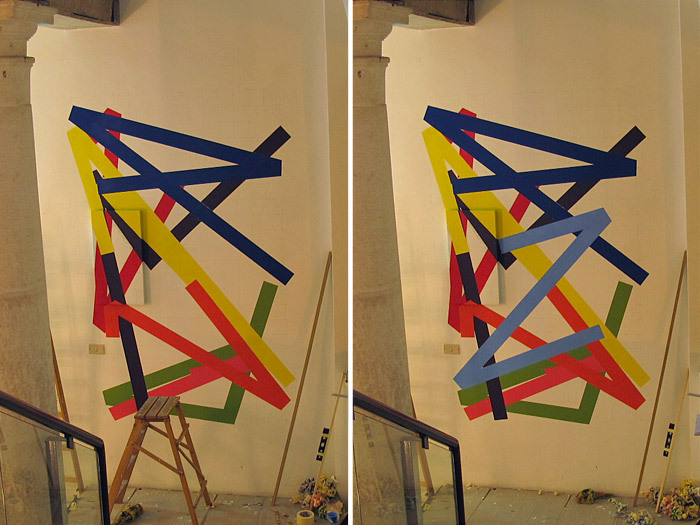 “8 lines made of 4 points” – Following a very simple set of predetermined rules, I painted eight lines; each one of them was made of four points randomly positioned on a defined plane. 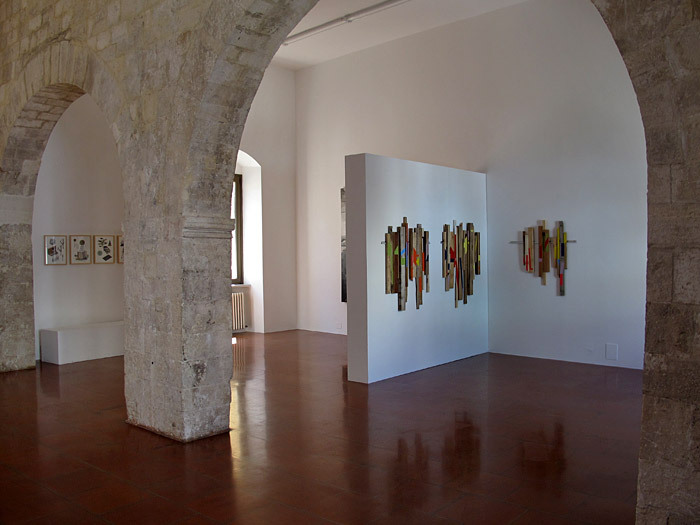 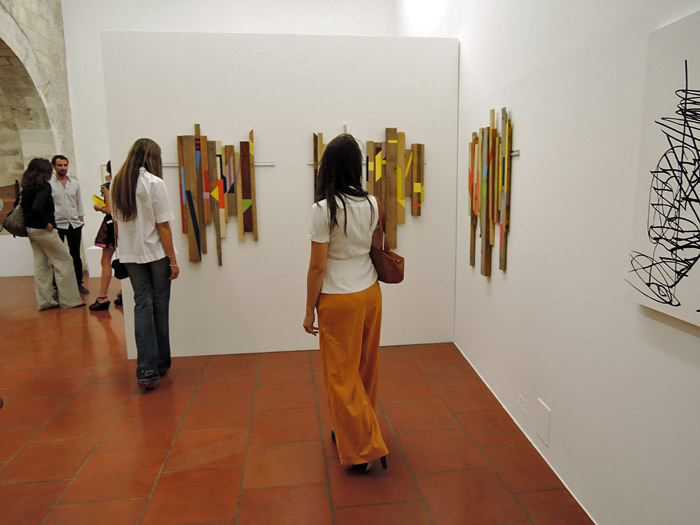 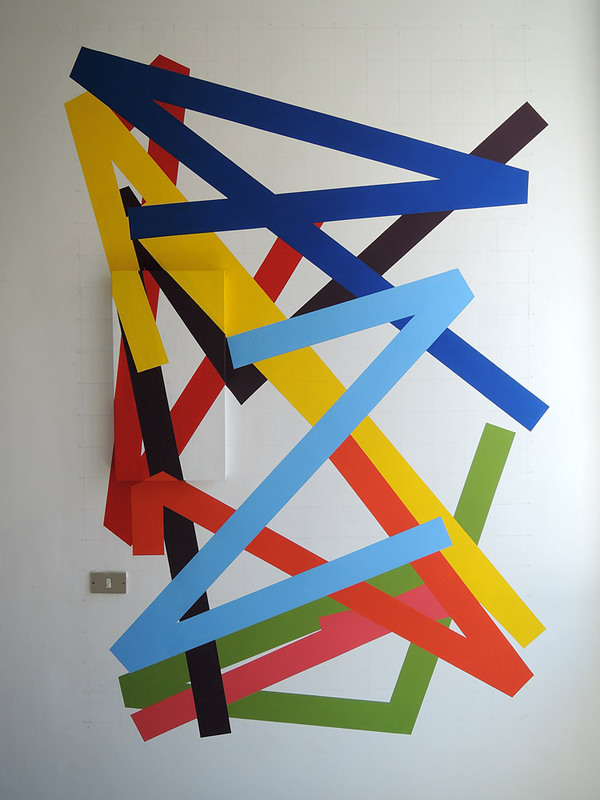 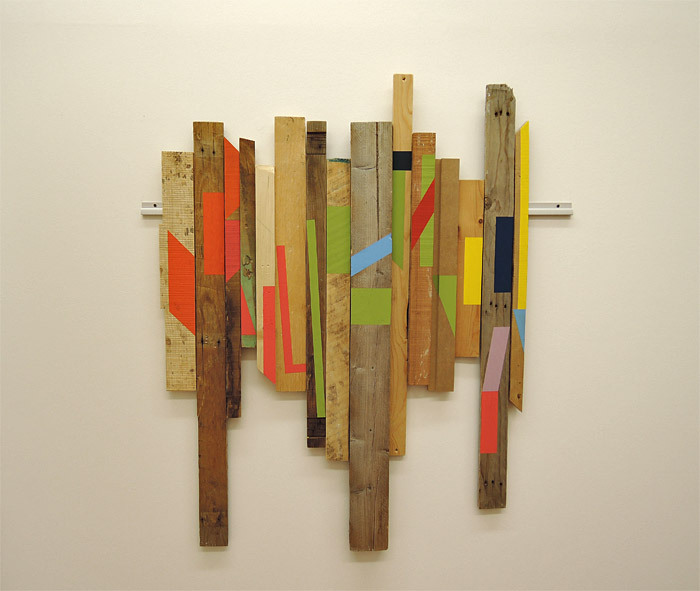 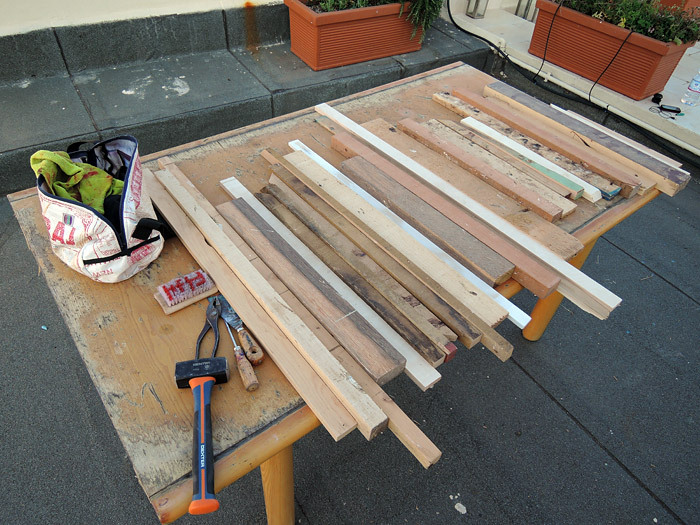 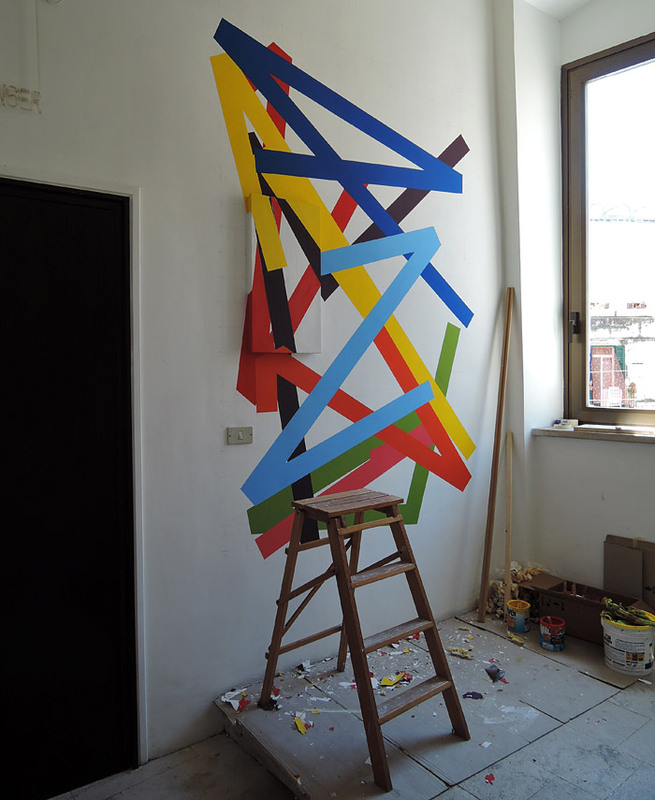 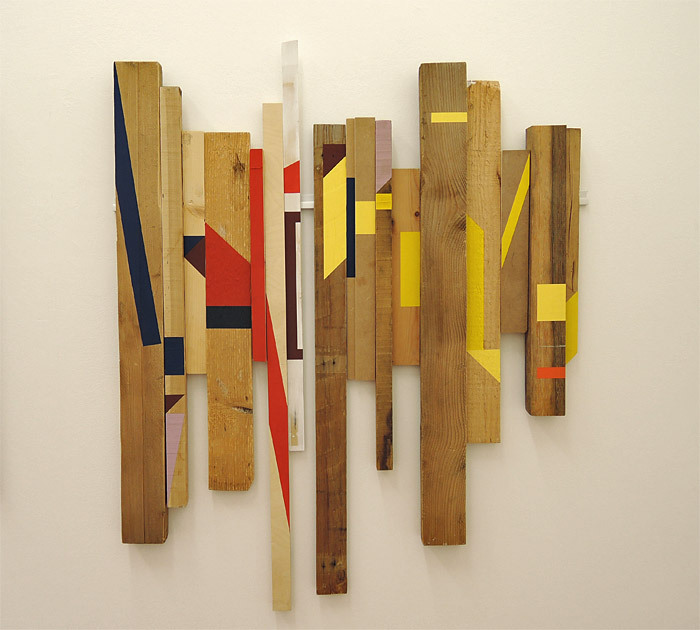 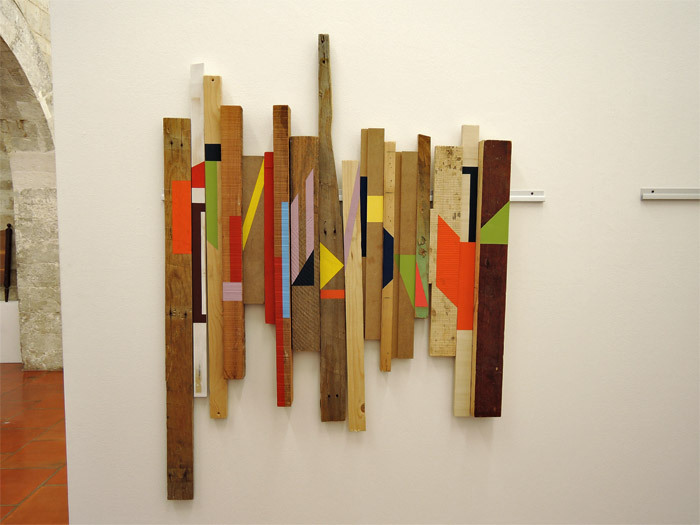 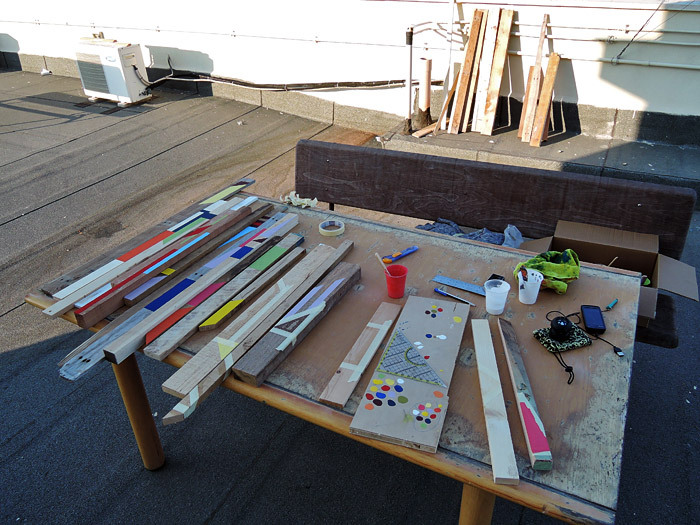 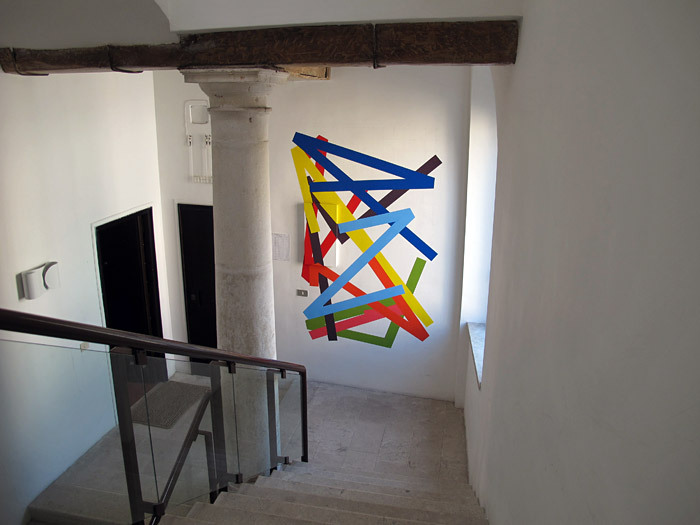 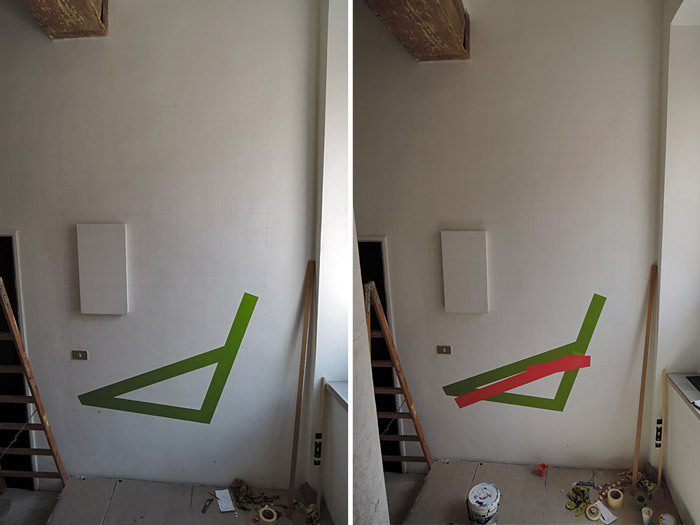 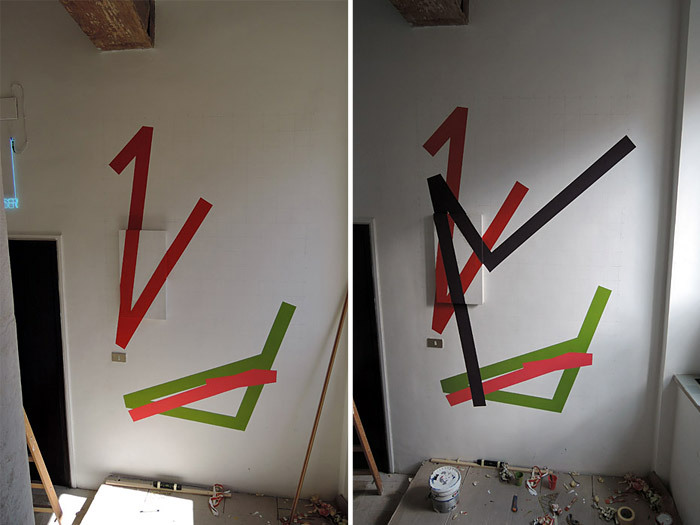 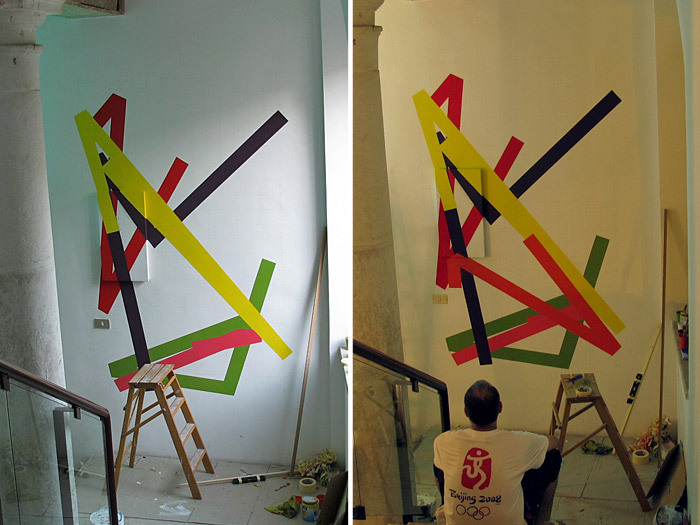 As in previous Astillas installations, I individually painted 41 pieces of wood I found in the streets of Bari. 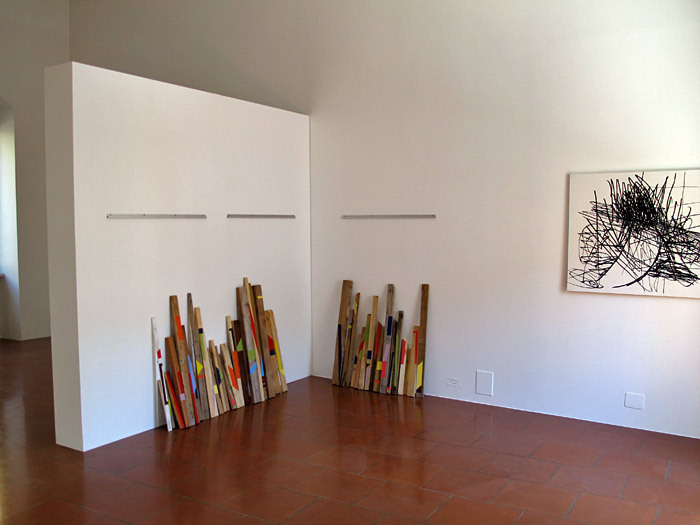 Before the opening, I arranged the pieces on the floor leaving the construction of the installation and the evolution of its compositions in the visitors’ hands. 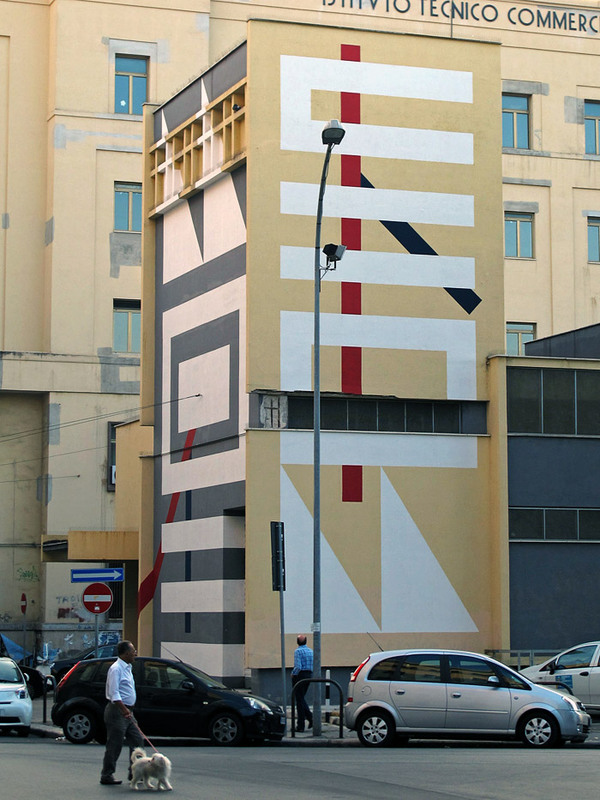 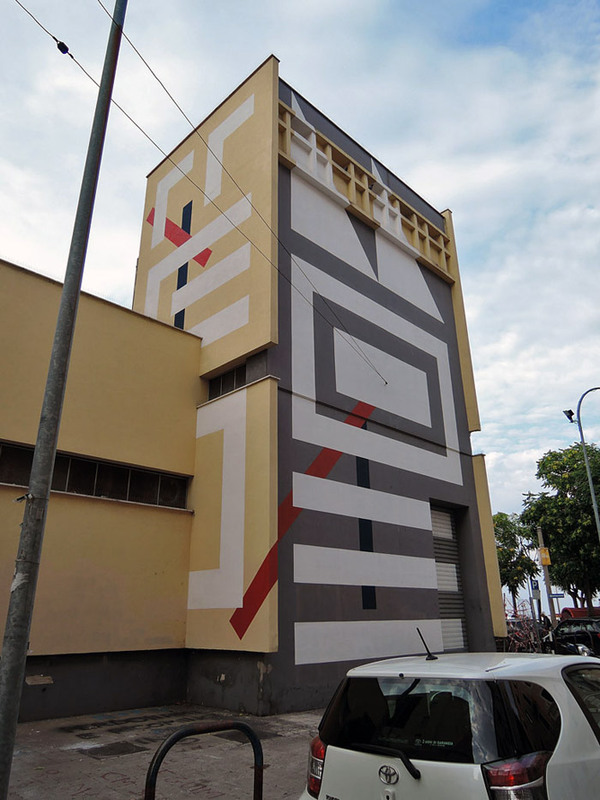 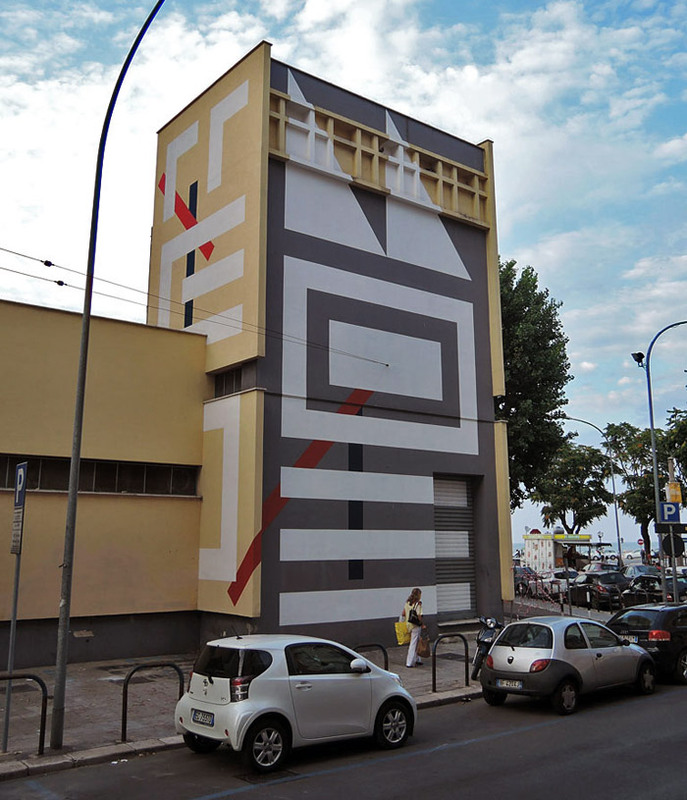 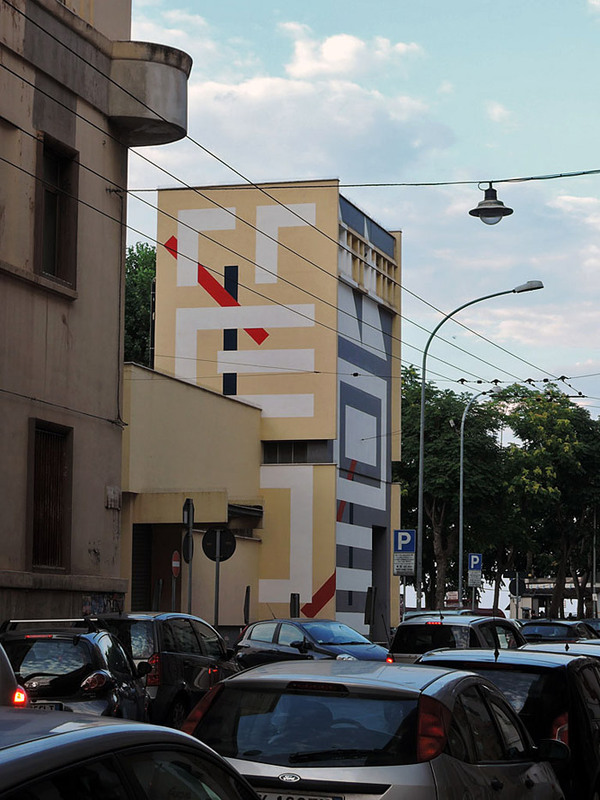 Three façades (12 x 5, 12 x 5 and 12 x 8 m.) on a city maintenance building on via Matteo Renato Imbriani. 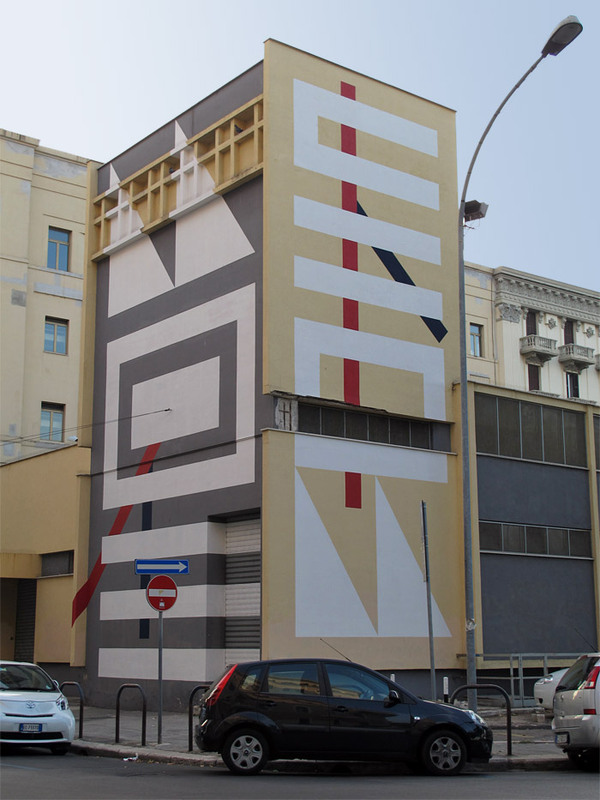 Thanks to Dopplegaenger Gallery: Antonella, Michele, Vittorio and Eugenio, to Carlo and Giovani and to LUCE.